The latest news and information from Brightfox about what's hot and what's not when it comes to I.T. in the property industry! You may or may not have heard the term ‘HTML 5’ used lately when discussing the future of web development and in particular the future of mobile web development. So what is HTML 5? HTML 5 is a browser-based programming language that can make your content more accessible and interactive. In short HTML 5 can deliver app-like usability and mobile friendly delivery in a website. Is it worth jumping on the HTML 5 band-wagon? The continued support and growth of HTML 5 is undeniable and its capabilities were clear to Apple Inc’s CEO Steve Jobs over two years ago when in April 2010 he controversially issued a public letter that concluded that Adobe Flash would no longer be necessary to watch videos or consume web content as “new open standards such as HTML 5 will win . . .” in the mobile arena. The result of this statement? Apple does not support Flash based content on any iPad or iPhone devices and when you consider that global sales of these devices are in the region of 180 million units, that’s a whole lot of users without the ability to view your content and subsequently adobe gave up the fight and ceased development of mobile versions of flash. Here at Brightfox we’ve been busy building HTML5 websites (stay tuned and check out our revamped website due for release in a little over a month) and web apps for the property development industry. A new product that we have recently launched is a powerful multimedia sales tool developed for use on Tablets, and in particular for the IPAD. Combining the power of our live agent portal sales tools and our interactive display suite touch-screen solutions, we have developed a sales and presentation tool that not only allows our clients to interactively present their product to potential purchasers but also seamlessly roll their presentation into a sale utilising one dynamic tool. Stay tuned for more on this product! 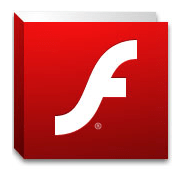 Adobe and Flash give up the mobile fight! Four years after the release of the iPhone and Steve Jobs’ controversial decision to not support flash on apple’s mobile devices, Adobe has given up the fight. According to ZDNet, after many teething and speed problems getting flash to work on android and other mobile devices, Adobe have announced they will halt development of future mobile versions of flash. Adobe will now focus on developing tools that will allow flash developers to create mobile apps running on Adobe’s Air platform. What does this mean for the general population? Not much. But if you’re a website owner and have flash based content, you might want to start looking at upgrading your site and utilising the ever growing power and simplicity of HTML5! Is your Project on PropertyMash.com?